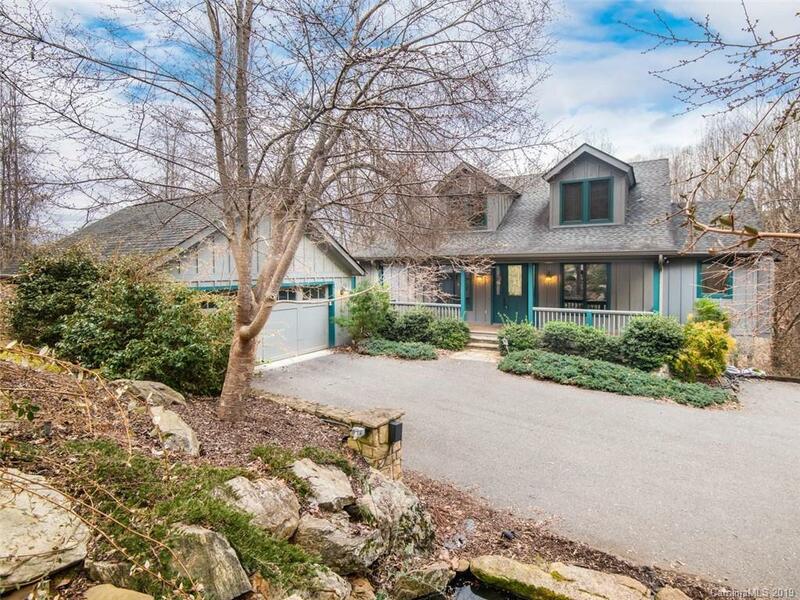 Perched on a wooded knoll and featuring gleaming hardwoods, Post and Beam construction and walls of windows, this beautifully maintained Arts and Crafts home is just a short distance to Downtown Waynesville and offers long range mountain views and serene mountain living. Enjoy an open floor plan with soaring ceilings, host sunset dinners on the screened-in porch off kitchen, or enjoy Sunday brunch in the light-filled breakfast room. Great for a growing family or those seeking quiet respite, this home features a spacious master on main with custom closet, en-suite master bath, home office, and large bedrooms upstairs for kids or guests. With bonuses such as brand new double sized gutters, a whole house backup generator, garage space for 3 cars, and basement with room for a shop and/or tools and toys, you'll not only have everything you need -- but everything you want.